Pour the rums into a cocktail glass packed with ice. 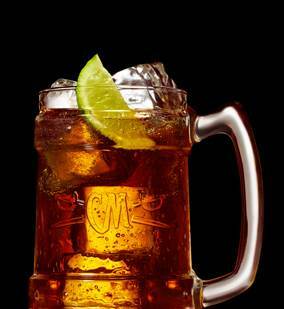 Fill with cola, and garnish with lime. Serve.